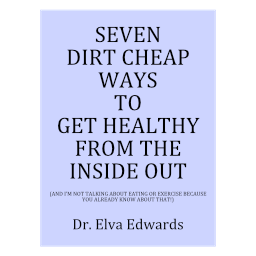 April 2017 – Dr. Elva Edwards, D.C.
Mother’s Day is just around the corner. If you are fortunate enough to have your mother in your life, why not give her something that might help her, like a pair of the socks I have been showing patients as they come in my office. The socks give you 31% greater balance. That is exactly the reason I was attracted to them. I do not have the balance I used to have. I promise your mom doesn’t need another nic-nak nearly as much as better balance. And while you are at it, you might as well put a pair back for your dad too as Father’s day will soon follow Mother’s Day. Unfortunately, as we get older, we are a fall away from a nursing home. And often a fall leads to greater and greater dysfunction and even death. So 31% increase sounds good to me. The socks are great for people with sore or painful feet too. Plantar fasciitis anyone? I’ve worked on people with plantar fasciitis enough to know they need adjusted. After that, put these socks on as they will help with foot pain. I guess you can tell I’m really liking the socks! It is great to find something I feel will really help my patients, especially the older patients. I’m in that bracket now, so let’s make use of all the things that will help us live without pain! Give me a call if you would like for me to order a pair for you, or your mom or dad! It is best to get our vitamin D naturally. Yes, there are pills, but it is always best to get our vitamins naturally if we can. If you swallow a pill, it needs to be digested just right or you won’t get the use out of it, whereas the skin just takes in the vitamin D. Of course, you don’t want to be in the sun too long. Always avoid a burn! The days are longer and the sun beckons a nice walk outdoors. It is always easier to walk with a friend, so perhaps you, like me, have a neighbor with whom you enjoy walking. And some of you have a nice 4-legged friend who encourages you outside on a regular basis. Vitamin D is necessary for your body to deposit your calcium in your bones. Depression sometimes responds to Vitamin D. It is important for our immune system. Even though it is called vitamin D, it is a hormone. No matter what leads you outside, it simply feels good. The first of August it will feel too hot, but right now it is perfect. Don’t be afraid of the sun. Moderation is the key. Enjoy it!! And respect it! Who Will Speak on Vaccines? Last week I gave you the link for The Truth About Vaccines. I want to encourage you to listen and to send this link to others. I didn’t mention some of the speakers for this series. Robert F. Kennedy Jr. will be speaking. He was a favorite speaker on Vaccines Revealed that was available a few months ago. One that I think is important to hear is Dr. Andrew Wakefield. He is the doctor that went through so much bad publicity. I’ve heard him speak. He is a do not miss speaker!! I promise. Hear it from his own mouth what happened. Dr. Sherry Tenpenny will be speaking too. I’ve heard her speak. I heard her say before she was aware that vaccines can cause the eyes to look as they do with shaken baby syndrome, she testified against a man for shaking baby syndrome. That would make you want to learn all you can. At the meeting I attended, all of her information was straight out of the CDC’s records. Follow this link and enjoy the series. I look forward to talking to you about the series when you come in for your next appointment. And don’t forget, send this link to at least a few of your friends! Most people are familiar with the controversy about vaccines. Should we get them or should we avoid them? And why are they wanting to make them mandatory? Why do some people think they are dangerous? If they were dangerous, why wold doctors support giving vaccines? What is the evidence of vaccines being safe? What is the evidence that vaccines are harmful? Where does the science stand? Since we keep hearing that more and more vaccines are in the planning stage for us, we need good information. Look up the stats with the World Health Association and see where the health of Americans stands compared to the rest of the world. You will be disappointed. Why is this so? Do other countries give the vaccines that are promoted in the United States? As you can tell, there are many questions and if you have children, of course, you want the best for them. So please, watch the following so you can be one of the informed. Please spread this on your social media. We citizens deserve to know the research that comes from the CDC (Center for Disease Control). Follow this link and send this health tip to all your friends. And, remember, Good Health is Priceless! !